Search engine optimization and content marketing are one and the same. You can’t do SEO without content. No content? No rankings. And blogging is the cornerstone of content marketing. That’s why it’s so important to know how to optimize a blog post for SEO. There are two parts to blog optimization. The first is relevant to anyone who is ready to write. The second is ideal for people who have already been blogging for a little while. Let’s go deep into the first, and add the second as a bonus at the end. Some bloggers start by researching keywords and then decide what to write. But it’s more common to start with an idea, a spark of inspiration, and then align the topic with a phrase. Suppose we’re a dog walking company and we’re active in blogging and content marketing. We have a nice website that is already optimized for conversions, and it’s time to turn on the content machine. We’re ready to blog, but we want to blog for SEO. We’re hungry for traffic. We have mouths to feed! 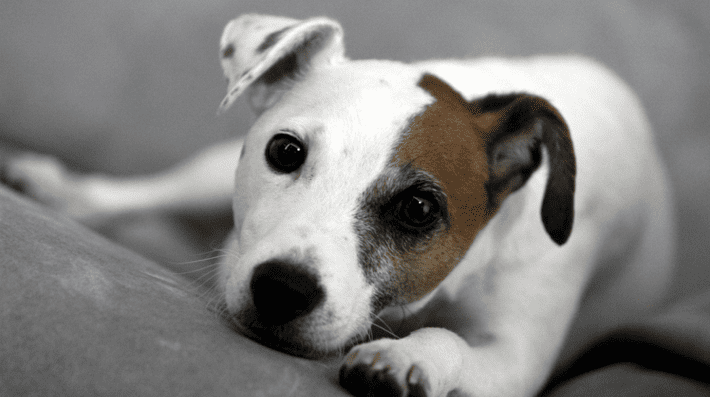 A lot of our clients have dogs that bark too much, and we’re good at getting dogs to quiet down. But we’ve never shared our advice on this topic. This might be a great blog post and we’re ready to write. But before we jump in, we need to take a few extra steps to optimize the blog for SEO. Here are the three steps we’ll take before and during the writing. There are two criteria for choosing keyphrases. Is anyone searching for it? Any phrase or topic needs to meet both criteria. Ranking for a phrase no one searches for is useless. Targeting a phrase we’ll never rank for is pointless. SEO for blogs is a bit different than SEO for service pages. Search optimized blog posts rank for the “informational queries,” one of the three types of search phrases. These are the how-to topics for visitors looking to learn something, not necessarily looking to buy something. We’re not going to attract visitors who aren’t likely to become a lead. But that’s fine because if we’re successful, we’ll create a ton of brand awareness. We’ll also get some powerful indirect SEO benefits, which we’ll discuss at the very end of this post. Is someone searching for this phrase? But don’t put too much emphasis on those numbers. These numbers are just estimates and are not really an accurate indicator of the amount of traffic we’ll win if we rank. For a semi-technical reason, I believe that these numbers underestimated by a factor of 100. I’ll explain why another day. The main point here is just to confirm that someone is searching for a phrase and to show the relative popularity of one phrase over another. We just want to confirm that someone is searching for the topic. Do we have a chance of ranking for this phrase? The second part of keyphrase research is more important and more difficult. We need to estimate our chance of ranking. For this, we need to understand links and authority. Whenever a website links to us, Google sees that as a vote of confidence. Someone out there thinks we’re credible. And that credibility is a factor in how high pages on our website will rank. Google measures this with a number called “PageRank” but they don’t share this data with us anymore, so other companies have created their own metrics. These are proxies for Google’s PageRank. We have a chance of ranking for a phrase only if our Domain Authority is in the same range as the other pages that rank high for the phrase. If the other high-ranking pages for the phrase have a much higher Domain Authority, forget it. We need to target a less competitive phrase …or blog about a more specific topic. And it’s not a level playing field. A higher DA means exponentially more credibility. A DA of 80 is probably eight times higher than a DA of 70. So can we run with the big dogs? 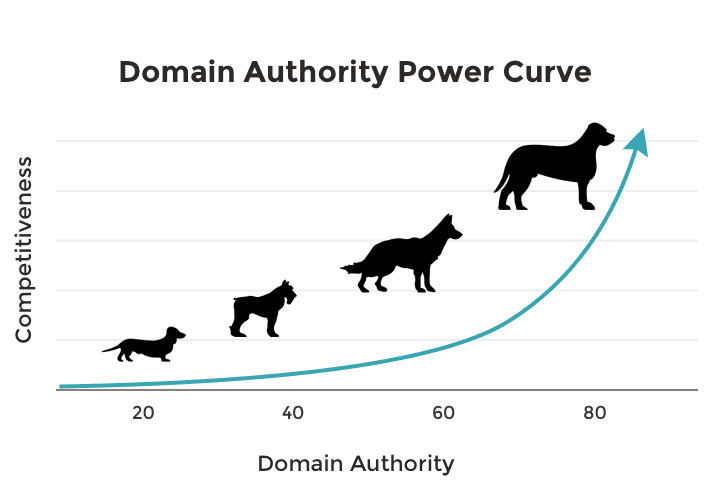 We need to know our Domain Authority first. You can look it up using Link Explorer. This is part of a paid tool, but you can use it a few times per day at no cost. It shows you your Domain Authority. It also shows the number of links to your site and the Domain Authority of each site that links to you. These are the sites that are passing credibility your way! Note: Ultimately, ranking is more about Page Authority than Domain Authority, but since we haven’t written our page yet, we have no Page Authority to compare! So we’ll use Domain Authority for now. Search for the phrase and you’ll see all the high-ranking pages. You’d need the paid version of Moz to check the Domain Authority of each using Link Explorer. And it would be slow to check each one at a time anyway. Is your DA in the same range as those other sites? 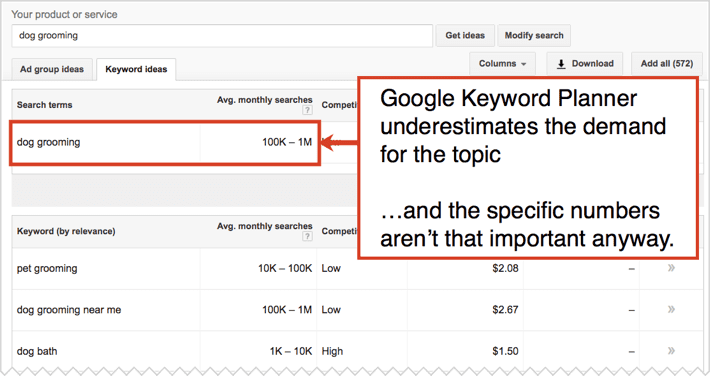 If you pay for Moz, you can use the “Keyword Explorer” which makes it easier to gauge the competition. 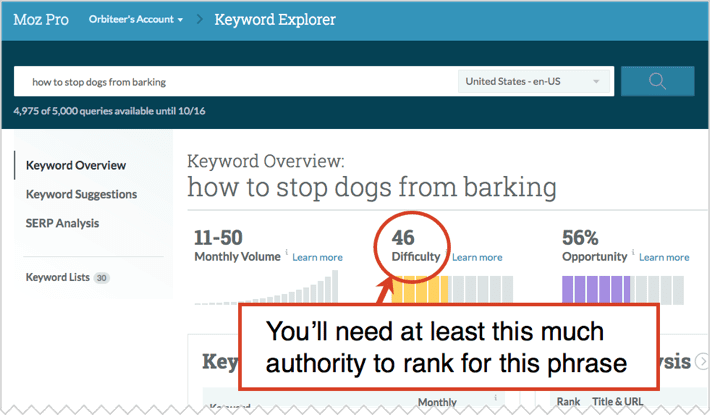 It averages the authority of all those high-ranking pages, giving you one number, “Difficulty.” If your authority is at or above the difficulty, you should have a chance. Yes, I know there are many other search ranking factors! But authority is the big one, and this is a fast way to check competition and avoid those impossible-to-rank-for phrases. Usually, the longer, more specific phrases are less popular, but easier to rank for. Target phrases that don’t have a lot of visual noise on the search results page. Ads, images, products, answer boxes, local listings and other SERP features all distract people from our site if we rank. Write about topics that already relate to other articles you’ve published. It’s easier to rank if we have hubs of interconnected content, rather than lonely, onesie pages. If we don’t have enough authority to rank for a phrase, we can always pitch the article to another site. You’re not limited to your own site. Guest blogging is both fun and effective. We can write and rank anywhere! We’ve got the phrase. Now let’s blog. Our next job is to make a great page. Google is basically a top ten list for every topic imaginable. So unless we create what we truly believe to be one of the top ten pages on the internet, we shouldn’t expect to rank. Search isn’t about trying to trick a robot into thinking we’re the best. It’s about being the best and showing the robot that we’re relevant. Our job is to make the best page on the internet and simply indicate its relevance for our target phrase. So we’ll go deep into the topic. We’ll add examples, images, contributor quotes and statistics. When we’re done, we’ll probably find that we’ve already done the things that Google likes, like length (1500+ words) and keyphrase usage (including the target phrase). There are very specific reasons why quality content ranks high! Use the find feature in Word, Google Docs, WordPress or wherever you write. Did you use the phrase in your header, subhead and body text? Remember, using the phrase in links do not count as instances of the phrase on this page. Links indicate the relevance of the pages they link to, not the page that they’re on. That’s a subtle but important part of search optimization! If you’re using a WordPress with an SEO plugin such as Yoast, this is easy. Give it your “focus keyword” and it makes recommendations. It also gives you a preview of what your search snippet might look like if you rank in Google. It’s a nice way to manager titles and meta descriptions! 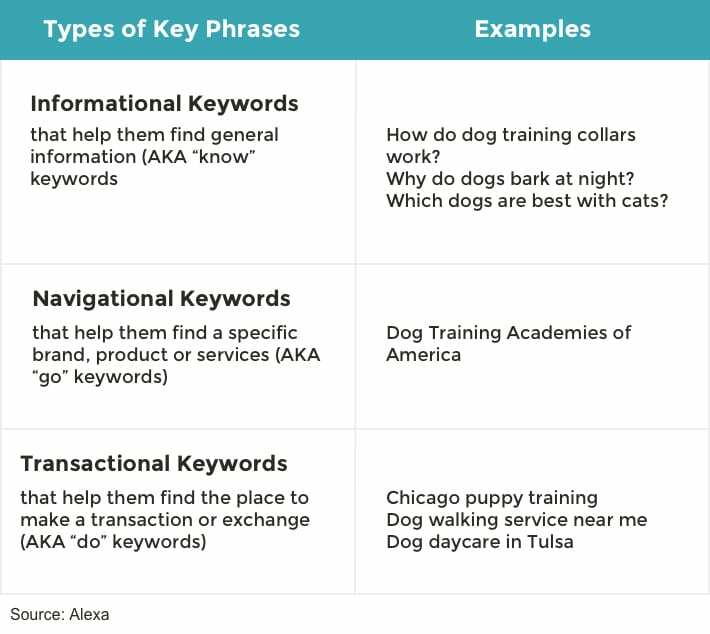 For a complete guide to using keyphrases, take a look at our SEO best practices. ProTip: After the page is live, link to it from other, older blog posts on your website. Use the target phrase in the text of those links. This kind of internal linking is yet another way to improve the SEO of your blog. Now that we’ve used the phrase in all the basic ways, our next step is to go farther and indicate relevance more broadly. See, Google really isn’t about matching words and letters the way it used to be. Google really wants to match the visitors intent with content that covers the topic. Adapting our content in this way is called semantic SEO. This might seem like a fancy SEO trick, but it’s better to think of this as a research technique for writers. These are all just ideas for things to include in your blog post. Let these be triggers for deeper, higher quality content. Yes, SEO can make you a better blogger! Example: While researching related phrases and subtopics for this article, I came across “SEO plugin” in the related searches. 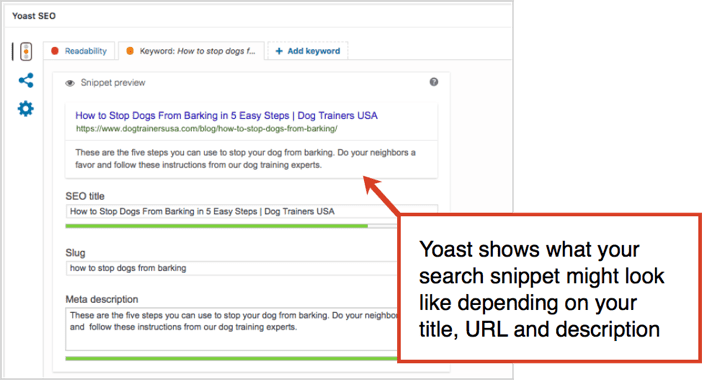 So I included the section about using Yoast to manage titles and meta descriptions. Hopefully, that made this a more useful blog post. Step 3: Formatting! So visitors will love it, not leave it. Quality is about being detailed and comprehensive. It’s about answering all the related questions and providing examples. As we said, it’s about making the best page on the internet for the topic. But there’s another factor in quality. Is the content easy to consume? To make it easy on visitors and to make them more likely to stay, we need make the blog post inviting. That means adding formatting and visuals. Here’s how this affects our SEO. The page ranks, the visitor clicks and lands on a page of dense blocks of text in small type with no visuals. …Two seconds later they hit the back button. 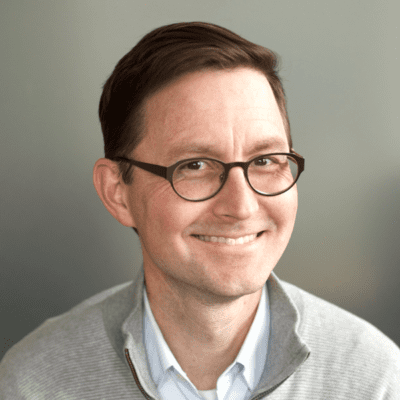 The visitor clicks on another website in the same search results page, lands on a beautiful page that’s easy to scan with meaningful subheads and visuals. …Five minutes later they hit the back button. 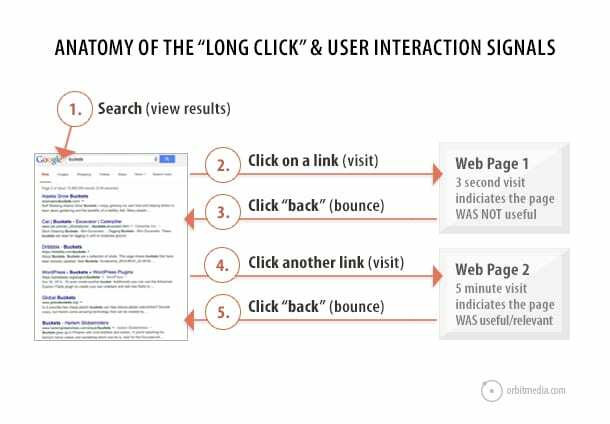 This is the difference between the “short click” and “long click.” If the visitor stays longer, you’ve sent a positive user interaction signal to Google. And the key to getting visitors to stay is to make the page scannable. Don’t hit them with a wall of text. Here’s a list of ways to make your content more consumable. Avoid writing paragraphs longer than three lines. Break up the content into sections with meaningful headers for each. Bolding and italics can also help guide attention to the most valuable points. If the entire post is a list, make sure to include a number in the headline. This indicates to potential readers that it’s easy to scan. Add faces and names to make your article more human and approachable. Don’t just use a featured image at the top. Try to add an image at every scroll depth. For a more complete approach, carefully consider all 21 points on our web content checklist. We’re not just blogging for SEO, we’re trying to deliver as much value as possible. That means accepting that visitors are scanning our content, formatting our content to slow down the scanners, therefore increasing the chance that they’ll dig deeper. Publishing the post is just the beginning. Let’s not stop there. If we go back and search optimize old posts, we’ll drive more traffic in less time than it takes to write a new post. Blog posts published months or years ago may already be ranking high… on page two. This is actually a huge opportunity since the top of page two is almost the bottom of page one. It’s likely that with a few simple updates, we can improve the rank a little and improve the traffic a lot. Go to Analytics and set the date range for at least a year. View Acquisition > Search Console > Queries. Sort by Average Position (rank). Set an Advanced Filter so you only see queries that have a rank of more than 10. This will show you a list of phrases for which your site ranks but are not on page one. Filter out the phrases that include your company name, and start scrolling through, looking for phrases related to blog posts. Next, search for these phrases in Google to find the related blog posts and to confirm the rank for each. You may find that the rank for phrases in this report varies wildly from your own search results. It doesn’t matter. We’re just looking for clues into which blog posts to improve. 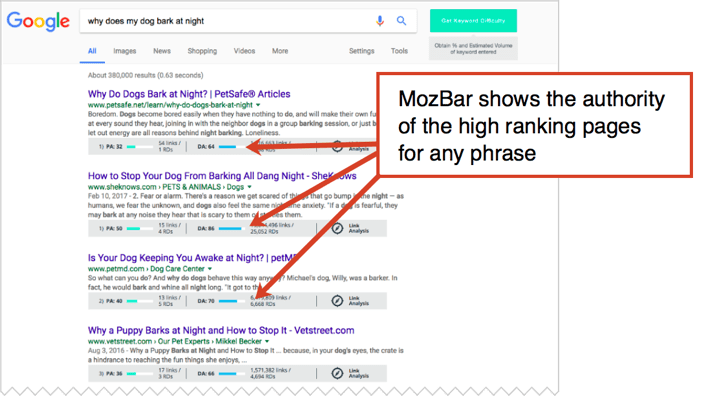 Take the phrase suggested to you by Analytics and use it in the title, header body text and within the text of links pointing to the page. Search for the phrase and look at the search results page. Do you see any clues into what phrases are semantically connected to your topic? Rewrite or add to the blog post, working in these concepts. Improve the scannability of the post by adding formatting and visuals. Just make it a better page! Raise your standards. Use your judgment. Don’t try too hard. 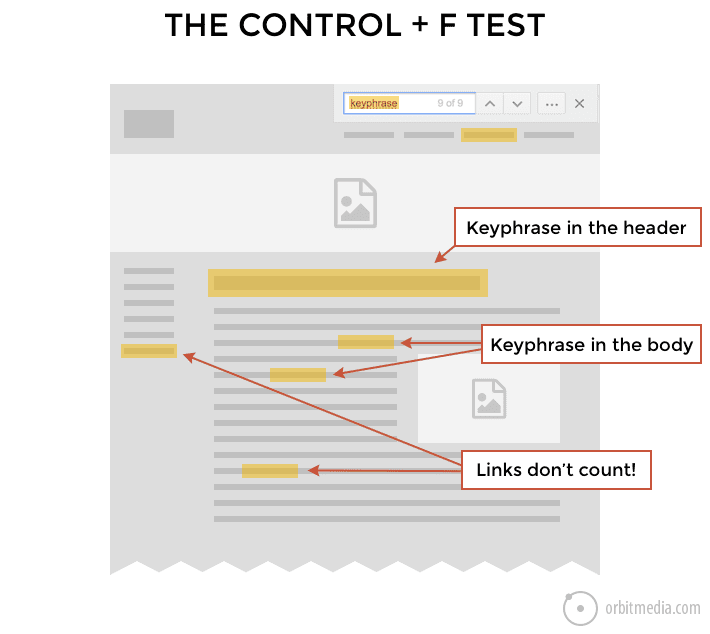 If it feels like you’re cramming in the keywords, stop. If you’re doing something purely to impress Google, with no considerations for visitors, you’re an SEO spammer. Warning! Before you change the title and header of your almost-high-ranking blog post, you might want to check to make sure you aren’t making it less relevant for an even better phrase. Here’s a step-by-step process for checking the ranking of any page for free using Google Analytics. Our goal is to make something great and indicate the relevance for the phrase a bit more. The post was already ranking, so usually a few small changes are enough to move it from the top of page two to page one. This can easily triple the search traffic to that post. This is a lot of work I know. But it will lead to better outcomes than cranking out an endless stream of medium-quality blog posts. And really there are two benefits for the extra work. Blogs impact your search engine rankings in two ways. First, our blog post may rank and attract visitors, directly impacting traffic. This is called relevance. Second, when other websites link to a blog post, it increases the credibility of the entire website, improving the likelihood that every page on that domain ranks. This is called authority. Making something great, something truly useful, is hard. But it’s what your readers (and the internet) really want. It’s worth it. Thanks, Andy! +1 vote for both MOZ and the Yoast SEO plugin! I’ve been using a combination of Answerthepublic.com and KeywordsEverywhere.com for finding blog topics for my clients recently. The former uses Google Auto Suggest to generate keyword ideas off your seed keyword and gives the option to filter by question-based searches. The latter is a free browser extension (Chrome or Firefox) that integrates search volume data into this tool and several others. Have a blast at Content Jam! Andy, talk about going the distance with a blog post. This is so helpful. I’m sharing it as we speak. Wonderful post, as usual, Andy. I think the points you make are so actionable, and all sort of speak to one of the major issues with blogging, in general today: so much content is average — just adding to the noise. We, as marketers, have a responsibility to create content that answers questions and engages readers with relevance. SEO is a byproduct of quality content. All of these ideas can help marketers achieve both. Love it! I’m already using all of these tools, especially Moz and the keyword planner, but I love how nicely you laid out the process, which I feel is often the trickiest part. Andy, this is very helpful content that includes premises and supporting detail that go into making quality learning material. Ummm, Google Keyword Planner link takes me to AdWords. Am I missing something? The Google Keyword Planner is a part of Good Adwords but you can use the tool for free. The Google Keyword Planner is a tool within the Google Ads (formerly Google AdWords). if you haven’t signed-up for a Google Ads account yet, sign-up using your Google account. You’ll find a tools option in the Google Ads. Within which you’ll find the Google Keyword Planner. All the major tools of the industry are on the list. A great read! Do you recommend any particular platform (WordPress, Blogger, Weebly, Wix…) to build a blog that will help the SEO efforts even more? WordPress is the most widely used. We love it! Once you prove yourself here than the rest becomes quite easy. For good PR, you need to have some good back links which you can only get from related blogs. wordpress and yoast seo plugin is best. Great Collection, it’s really helpful for increasing our knowledge. Thankyou for sharing fruitful information. Keep sharing. Great article. I was not skimming but actually reading word-for-word. I loved the detailed step-by-step description on how to take action about blog optimization. Thanks for sharing the article, you have covered most of the onpage SEO techniques but I would like to recommend to add page speed optimization also since google gives lot of importance to site load time and is an important SEO factor. You really make things easy for us – I must appreciate your kind efforts Andy. It’s truly a great job and helpful as well as informative for everyone.